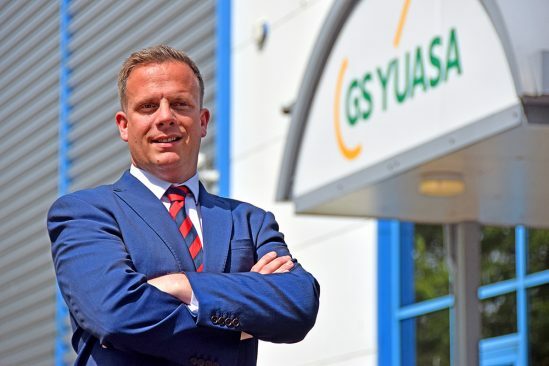 GS Yuasa Battery Sales UK Ltd, UK market leader for vehicle and industrial batteries is pleased to announce the appointment of Jonathan Pritchard as General Manager – Sales and Marketing. Jonathan brings with him over 15 years of management experience and strong knowledge of the automotive aftermarket. He joins GS Yuasa having held sales and management positions at Unipart Autoparts and Sogefi. Jonathan Pritchard said: “I am delighted to be joining GS Yuasa and I view this as a positive move given the future in batteries. The company has a strong reputation as the world’s leading battery manufacturer. The quality and reliability of its products and service is well known throughout the industry.